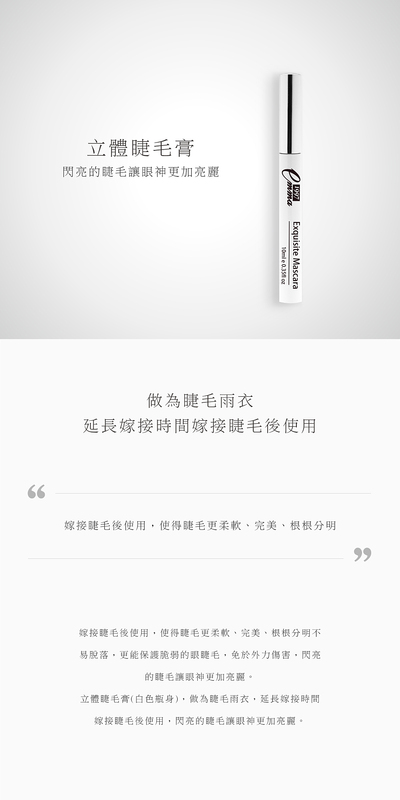 用小毛刷沾取適量的睫毛膏，輕塗睫毛上即可讓睫毛根根分明，立體捲翹。 1旋轉瓶蓋，取出刷毛 2直接在睫毛上塗抹使用 3以旋轉方式向上塗抹 4可讓睫毛根根分明立體捲翹。• Implant eyelashes after, for strengthen joint point for keep longer one or two weeks at least. 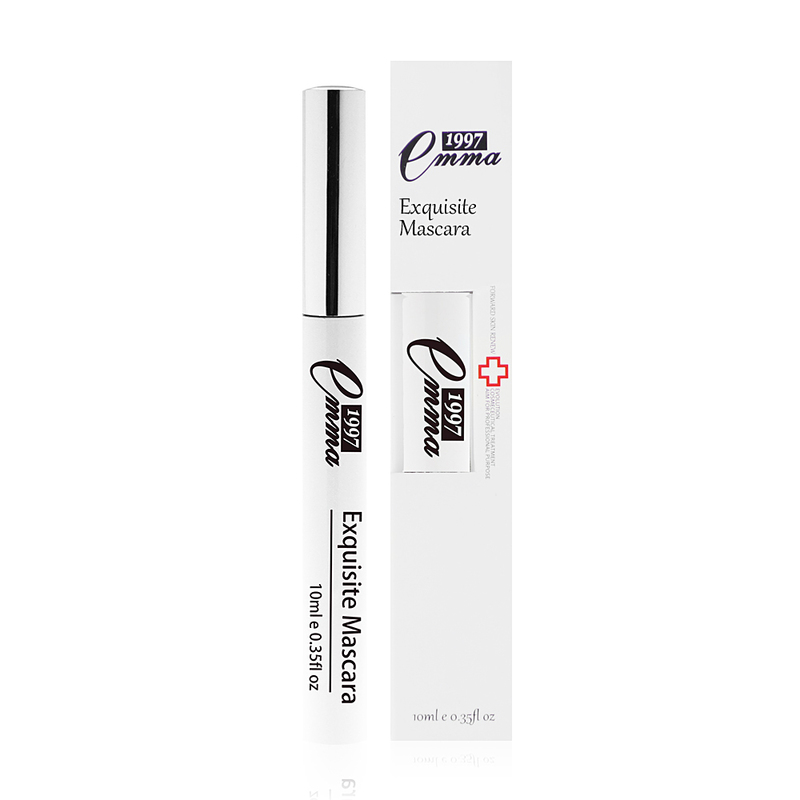 Maintain eyelashes tough, perfect with distinguish each and delay usage time, protection fragile eyelashes damage. • Normal process 1.Twist off cap, take out brush 2.Direct brush eyelashes 3.With brush apply curling up 4.Each eyelashes distinguish in curling appear.